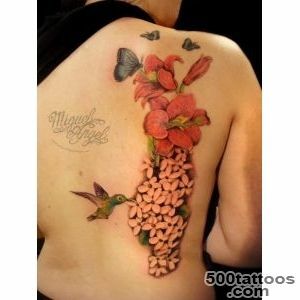 Before you decorate your body with tattoos , should explore what meaning it carries . 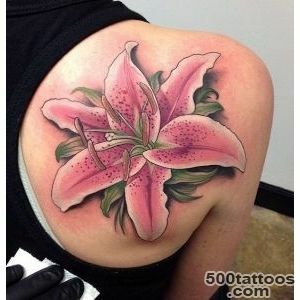 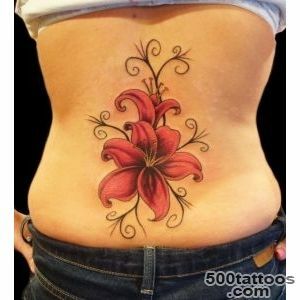 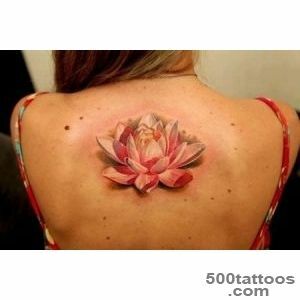 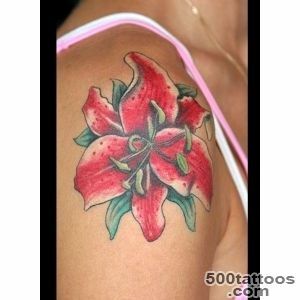 Lily tattoo is very popular among girls , the total value of such a figure - the harmony , self-knowledge , generosity and tenderness . 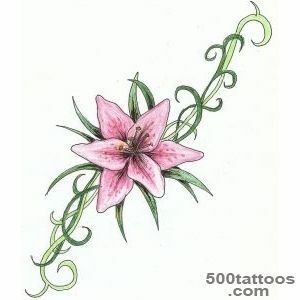 In different cultures the lily was a symbol of fertility . 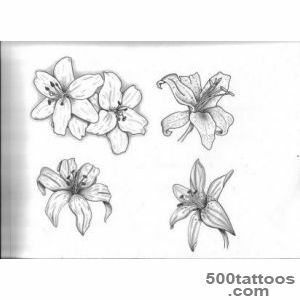 In ancient Egypt, this flower is put on the dead girls' bodies .In Roman culture, this flower is depicted on the coins , it was considered a symbol of hope . 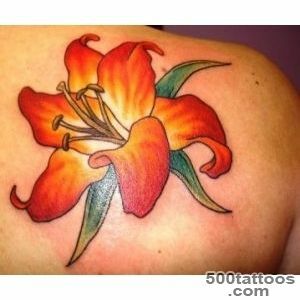 In medieval France lily decorated with the emblem of the country , is respect . 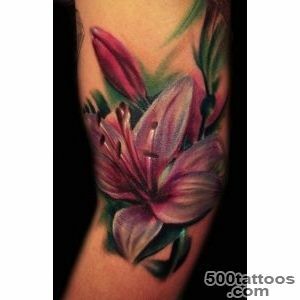 The art often depicted the lily beside the sword or any other weapon , to symbolize both the innocence and guilt . 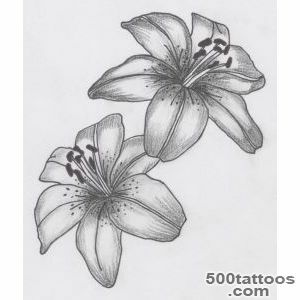 The girls had often used the lily flowers as decoration ,They slaughtered them in her hair . 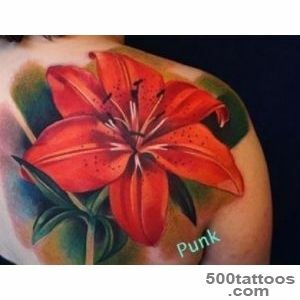 This enhancement means that his mistress gentle and loyal . 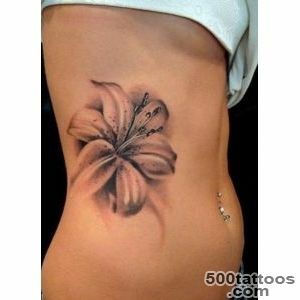 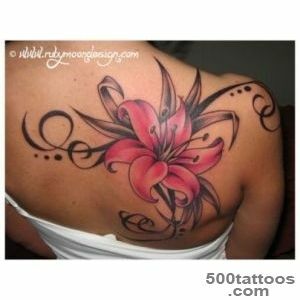 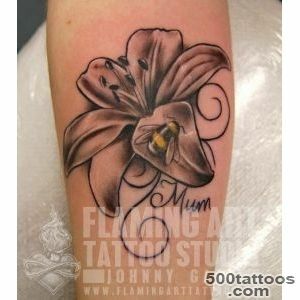 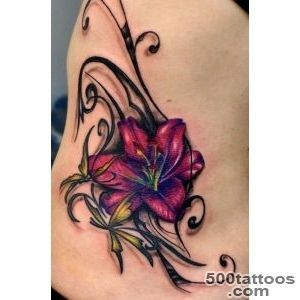 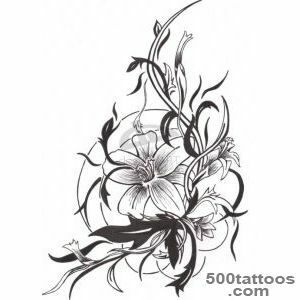 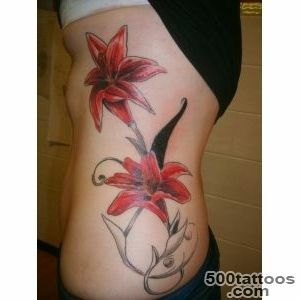 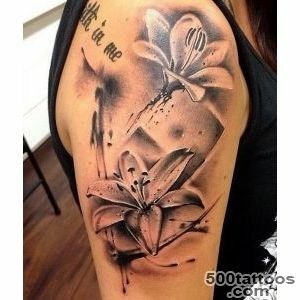 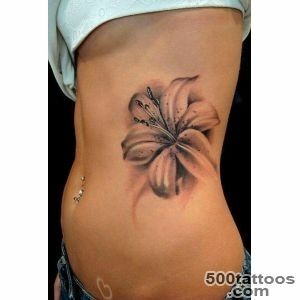 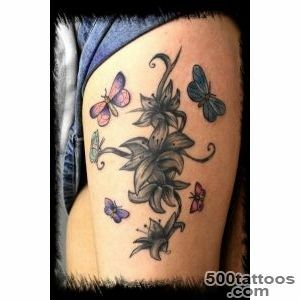 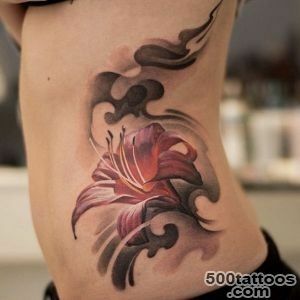 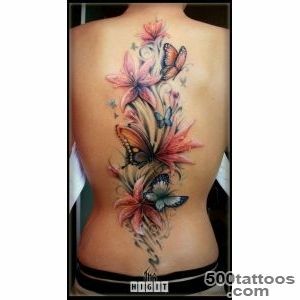 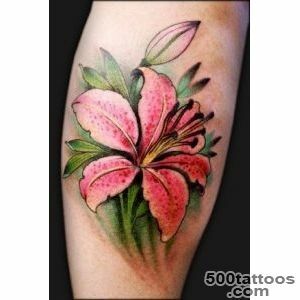 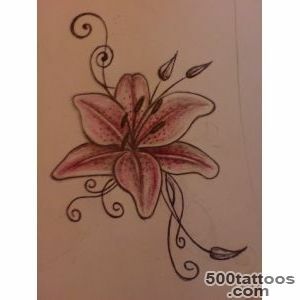 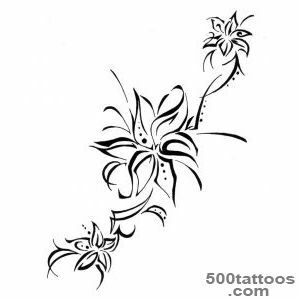 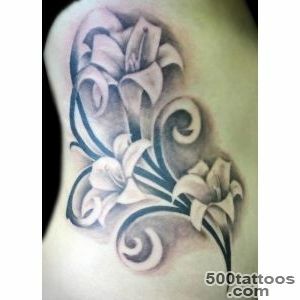 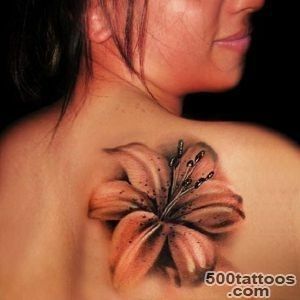 Tattoo lily can be drawn by a person if desired, in the form of one or more flowers. 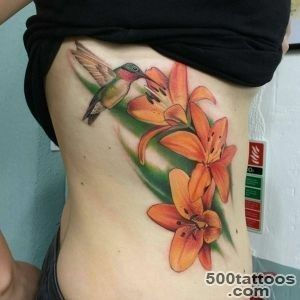 Color tattoos can be quite varied . 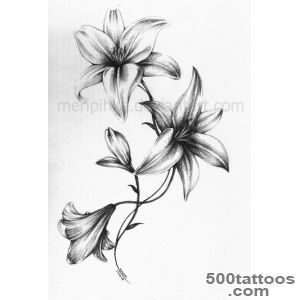 White lily represents purity of motives , tenderness and fragility . 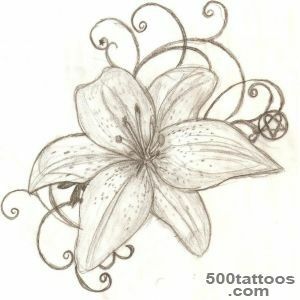 The lighter the lily,the more elevated energy govern it . 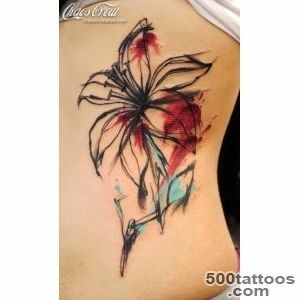 Dark flower is associated with a kind of passionate , vibrant beauty. 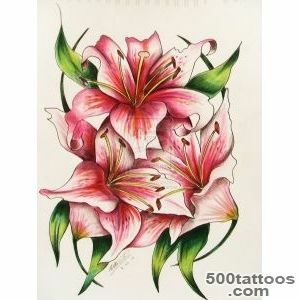 Pride lily symbolizes yellow , pink - tenderness . 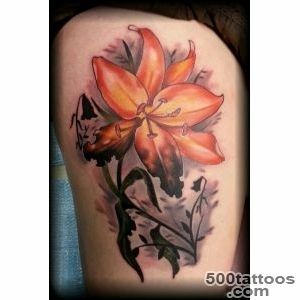 Orange flower is an indicator of independence and passion . 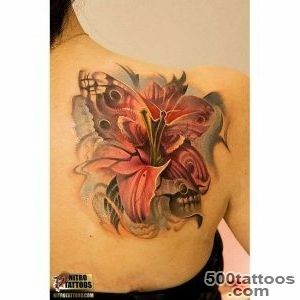 In the art of tattoo lily can be displayed in a single copy ,in a bouquet of several different flowers . 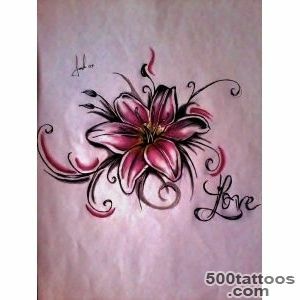 It can also be painted in different colors . 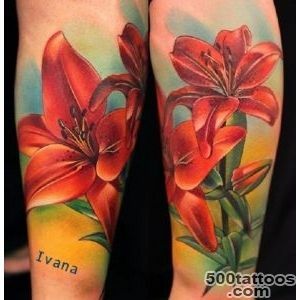 Often it is combined with sketches on religious themes - next to the cross or at the feet of the saint. 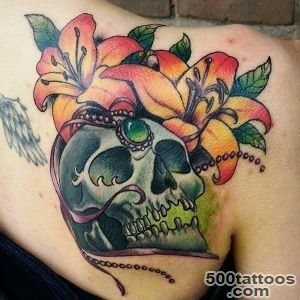 The animal was kept in the teeth of a bouquet of roses - not uncommon in the art of tattooing. 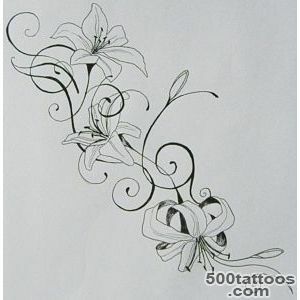 Most often refers to the lily tenderness , femininity .If you want to give it a more brutal kind of flower in the picture , you can entwine barbed wire or draw it in a dark color. 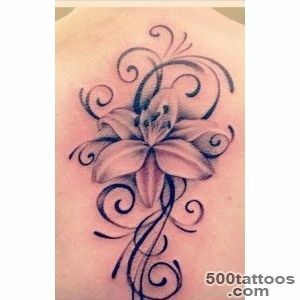 Such a pattern on the body will be talking about her carrier as a multifaceted man who can be kind and gentle , with a strong character . 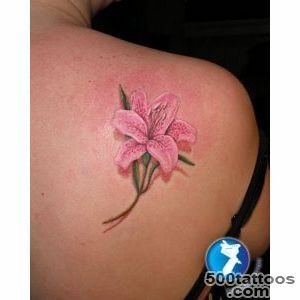 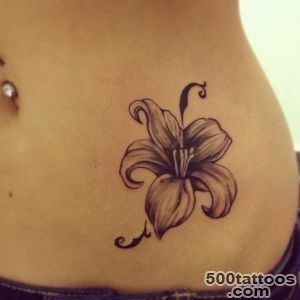 Despite the fact that the female is considered lily tattoo pattern,men also applied this flower on your body . 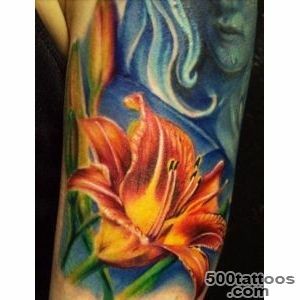 Usually in combination with other colors or animals. 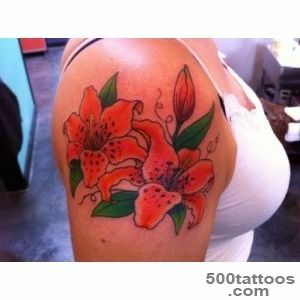 It is important to understand that in some cultures, lily , painted on shoulder , pointed girls of easy virtue , therefore, is not always such a pattern on the body carries a very positive meaning . 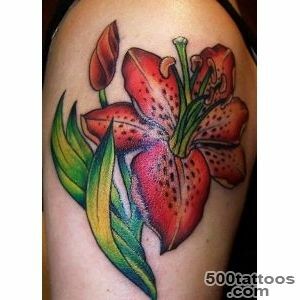 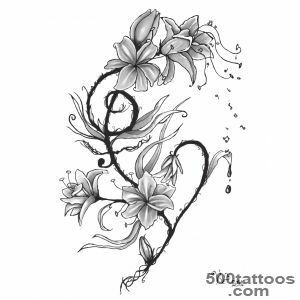 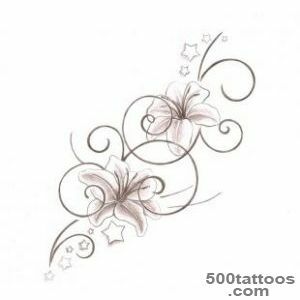 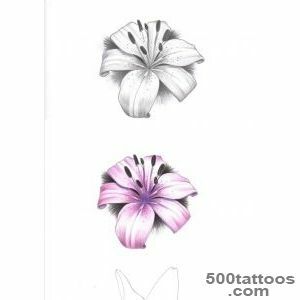 Choosing the lily as a pattern for a tattooIt is important to choose the right color sketch , suitable not only in meaning, but under the skin to tattoo this really was an opportunity to express themselves and decorate the body for many years .